If You Can’t Find Your Tribe… Build It! I moved to Washington, DC as a brand new mom; my first son was only five weeks old when we drove from Dahlonega, Georgia to Arlington, Virginia. Once we arrived, I knew making connections would be crucial to surviving a new place, in this new role, with this new human. I needed a tribe. I went to all the mom’s groups I could find. During one of them, another mom invited me to her “moms workout group.” Sure, I thought, why not? But here’s what I didn’t tell her: before pregnancy, I participated in Figure Body Building competitions and had spent a lot of time in gyms, programming workouts for others, focusing on heavy lifting, and fueling my workouts. Before that, I did a lot of yoga, focusing on the challenge of the physical practice. Before that, I had danced at a ballet conservatory. Since giving birth and moving to DC though, I hadn’t found my jam for working out. I was looking for something a little more than just time to work out. I wanted to make friends! It was SLAM DC’s six-month anniversary. I went. It was challenging! I hadn’t really worked out much since giving birth. And I wasn’t really into endurance… ever (remember, I was lifting and competing beforehand, NOT running). But most significantly, everyone was really nice and welcoming! I got a great workout in and made some new friends. 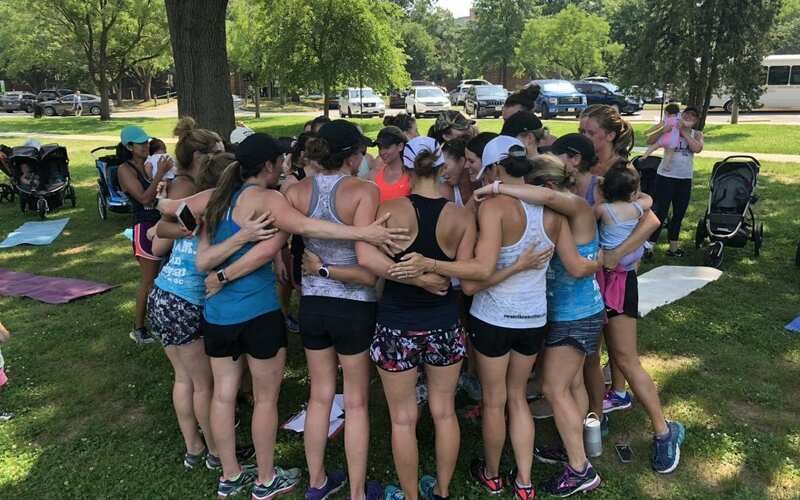 It brought together my workout and my desire to connect with other mamas. But I wasn’t hooked right away. I was skeptical because I had never been much of a joiner of clubs, a sorority, team sports, or much of anything where someone could potentially feel left out. It made me uneasy. I preferred smaller groups and hanging on the fringe. SLAM surely had some of those drawbacks, right? Nope. The more I went, the more I experienced that SLAM is more than just the workout, more than a group of friends; the culture of SLAM is a genuinely supportive, kind, and inclusive community. What if I taught fitness? What if I taught yoga? 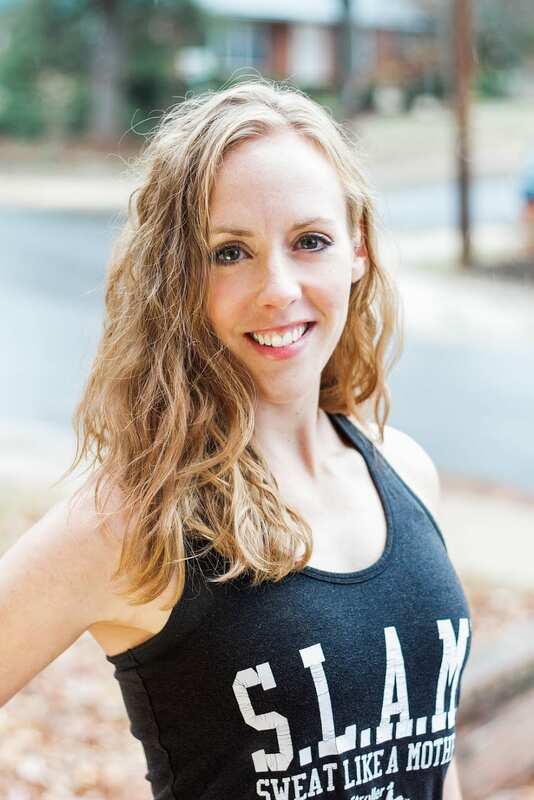 That’s when the owner of SLAM DC, Kelli Berger, and I chatted about her wanting to expand the yoga program. So, with her supportive nudge I finally got my 200-hr Yoga Teaching Certificate and started teaching yoga for SLAM DC. Then, I added a few studios into my schedule and taught barre classes and boot camp classes. Military spouse life is rough. We move frequently, which is mostly really exciting and intriguing. But this time… this time was painful. As my time dwindled in DC, I hated the thought of leaving SLAM DC. What was I going to do without my mama-friends? …without my tribe?! 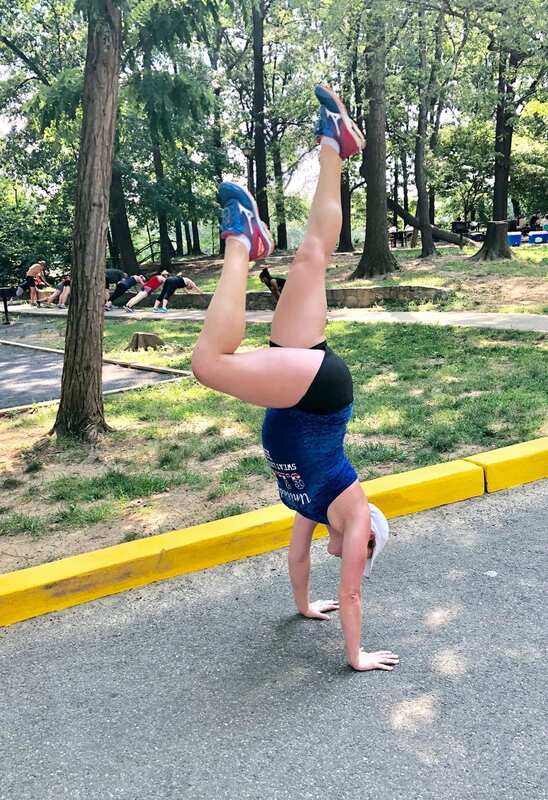 I had made amazing friends who had cheered me through some major fitness milestones (this non-runner checked the Army 10 Miler, a Ragnar, and a marathon off my bucket list). I had chatted about mom-milestones, I had complained, I had sought advice from, I had leaned on these women in emergencies… and now I was moving away from them while eight months pregnant with my second child. And of all the SLAM locations, there wasn’t one where we were headed. We arrived in the Fort Hood area in September, just in time for me to give birth to our second child. Literally, just in time. There’s a saying “if you can’t find your tribe, build it.” So, without further ado… Let’s get this tribe started: a fiercely supportive community of SLAM sisters who can lean on each other in fitness and in motherhood. I am humbled to be carrying the SLAM torch to the Fort Hood area and I can’t wait to get SLAM’n! For more information on our newest SLAM Affiliate, follow Stroller Strong Moms Fort Hood on Instagram and Facebook! To sign up for the newsletter for all the class information, head over to the webpage. Yaaaasss! Can’t wait for this location to open under Amanda’s direction! She supportive, engaging and knowledable about all things fitness! 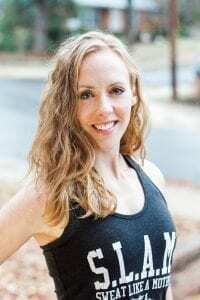 She’s able to make classes accessible to those that are just getting started with their fitness journey and challenging enough for the most athletic mamas around! Bonus, Amanda’s as kind and welcoming as can be—a great listening ear, non-judgemental and always ready to help a friend! What a gem! Can’t wait to watch you build this community in our new hood at Fort Hood!